Local SEO is all about getting found by the right people at the right time. If your target audience consists of local people or businesses, you want to make sure you show up in search when they Google your products or services. And there are many ways you can do this. Google constantly tinkers with its local algorithms. The largest recent change was the Possum update, which you can read about here. But while it’s a good idea to stay on top of the changes, what really matters is sticking to a few solid strategies to make sure you rise above the competition and get found for your local keywords. Here are eight golden rules to stick to if you want to boost your local SEO this year. First things first: Sort out your listing in Google My Business. It’s completely free, and it should be considered essential for any business that takes its local SEO seriously. This will give you an official presence on Google Search and Maps. Searchers can find your listing and see the information about your business. From here, they can visit your website, call you, find directions, and more. Also, use your listing to add pictures, receive reviews, write responses, and share what makes your business unique. You could even create a virtual tour. And make sure you verify your details (Google will call you or send a letter to do this.) Doing this will make your listing more credible and more likely to show up in a search. Local citations form an essential part of a good local SEO strategy. They consist of mentions of your business on other websites. They are not necessarily links, but they play a major role in the search algorithms—as well as boosting your web presence and increasing your chances of being found by your target customers. The more local citations you have, the more chance you have of ranking in local searches. When you sign up to include your business in local business listings, you will usually need to provide your business name, address, and telephone number. You will also usually have to verify your listings at each place. Watch out for duplicate listings—these can have a negative effect on your SEO. To get more local citations, start by searching for your category on the Moz resource page and see what you can find. We touched briefly on NAP (Name, Address, Phone Number) in the previous point. What you need to know about your NAP is that it must be the same everywhere. This is used by Google to distinguish you from other businesses. When Google collects data from other listings websites and other sources, the NAP is what it is looking for.The quantity and quality of your citations will all have an effect on your ranking, but your NAP needs to be consistent. If you have variations in your NAP, this will affect your SEO.If you already have lots of citations, check them all now and fix any errors otherwise it can lead to problems. Social signals have been an important part of SEO for a long time. But you should make your social media activity locally focused if you want to improve your local SEO. How should you do this? Ensure you at least have a presence on Google+, LinkedIn, and Facebook, all of which are important for businesses. Optimize your social media profiles. Social media profiles often rank highly in search, so optimize them with local keywords. Provide coupons for purchases made in your store, which will be of interest to local customers. Influencers are people who have reach with your target audience. Their followers trust what they say, which makes them very persuasive.They can get the word out to your target audience, increase your social shares, get more reviews, and help you to build more natural local links. You can also get great publicity from influencers, who will help to spread the word about your business. Overall, influencers can help to make you more authoritative so that Google ranks you higher. How do you find and connect with them? That’s the hard bit. But it doesn’t have to be too difficult. For example, you could find them at local networking events and conferences, or you could search for active local blogs and social media accounts. Then it’s all about making contact with them and building a mutually beneficial relationship over time. Perhaps the key to all SEO is the creation of valuable content. But if your focus is local SEO, it makes sense that your content should have a local slant. Not all of it needs to be local—often it wouldn’t make sense to do that. But make sure local content is in the mix. Firstly, just like with social media, discussing local events, issues, and concerns will provide value to your target audience. This makes it easier to connect with them when you are discussing people, places, and events that they know well. But it’s also good for SEO.If you create high-quality local content, you are more likely to get social shares, you will get more visibility in social media for your local audience, and you’ll build more links naturally. All of which gives a boost to your authority. Local news is a good topic to focus on, so publish blogs about new stores opening, seasonal events, local business conferences and events where you will have a presence, and more. Add personality to your content and speak directly to your target audience—all of this is great for building a relationship. While the previous point focused on content you publish regularly (e.g. a blog), you should also make sure your main pages (including product and service pages) are optimized for local search. What does this mean? It doesn’t mean cramming in local keywords everywhere you can. However, you should include your address and phone number on every page. Then add your local keywords where they fit in naturally. Just don’t stuff them in—that hasn’t been effective for a long time. Another option is to create case studies for local businesses you’ve served. Have a section of testimonials or reviews, and local keywords will naturally get added over time. So start giving a more local focus to your link building and enjoy the SEO benefits. 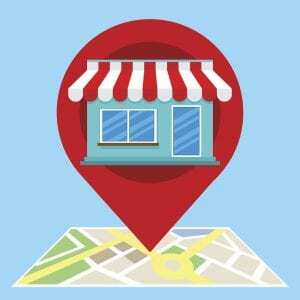 Local SEO is an essential marketing strategy for any business that targets local customers. People almost always go straight to Google these days when they are looking for a local product or service, and you want to ensure that you are displaying high up in the results. So follow the rules above to maximize your presence in the search engines—and let us give you a hand if you’re not ranking where you should be.